I love ranch dressing. When I have a side salad, it’s automatically ranch dressing for me. Your house dressing is great today? No thanks. Got an out of this world balsamic vinaigrette? Good to hear, now please pass the ranch. The good thing about my love of ranch dressing is that I don’t use a lot. 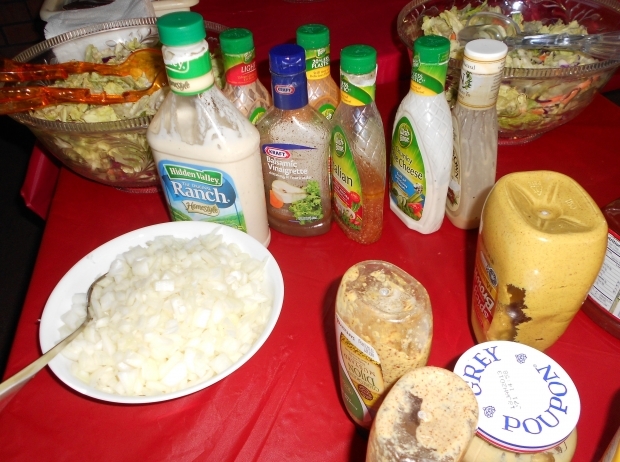 I always ask for my dressing on the side, and I usually only use a couple of tablespoons worth, and it’s always much less than what the restaurants would normally add to a salad. It does! I’m not lying. At first, I thought, it’s because I used light ranch dressing at home. 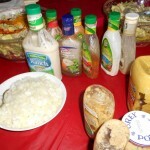 We generally try to eat with reduced fat varieties of things that are normally rich in fat. In most cases, we adapt and feel better that we’re avoiding some of the negative. So, I thought that must be it, and opened up a bottle of regular dressing. Better? Yes. Good as a restaurant? Not even close. It never fails. I go to a restaurant, eat a salad, and marvel at the ranch. I eat one at home and I’m left wishing that I could get my hands on whatever it is that restaurants are serving. They must have some secret stash of dressing that they’re working from that is not allowed to make it’s way into any home. Maybe the secret ranch is the foundation of the entire restaurant industry. Without the great ranch, sales would plummet and restaurants far and wide would close down. Or is it just as simple as maybe things just taste better at a restaurant? I don’t know, but while you’re coming up with your answer…. Could you please pass the ranch?